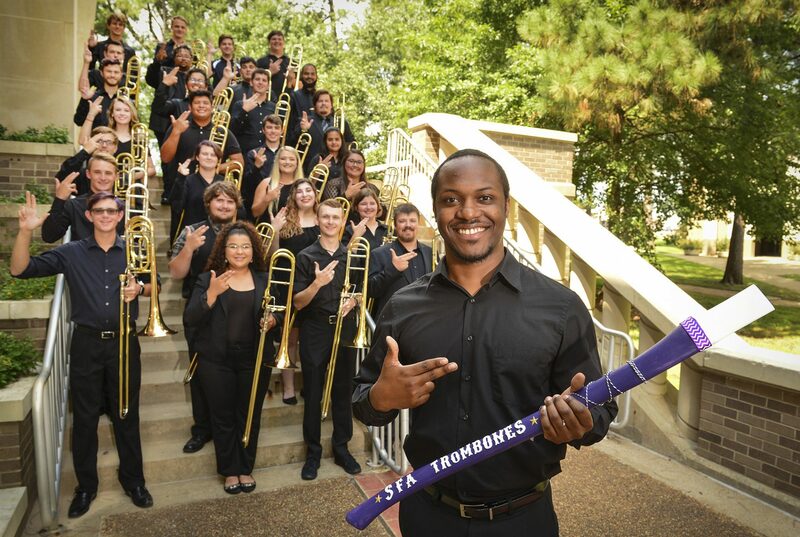 The Stephen F. Austin State University College of Fine Arts and School of Music will present the SFA Trombone Choir in a recital at 7:30 p.m. Wednesday, April 9, in Cole Concert Hall on the SFA campus. The Trombone Choir will perform a festive concert with a selection of popular and jazz songs that will commemorate International Trombone Week,” said Dr. Deb Scott, associate professor of trombone at SFA and the director of the Trombone Choir. Guests accompanying the Trombone Choir will be Lufkin senior Juwan Blanton on drums, Littleton, Colo., junior Cory Meier on piano, and Athens graduate student Stephen Morman on bass.